Hotel bar view. There are two bars at the hotel. 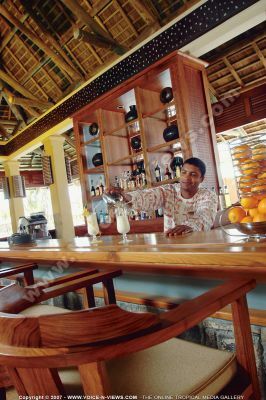 A barman at work, making delicious cocktails. A display of oranges completes the bar.